Don’t let a small budget keep you from celebrating with big holiday party ideas this year. Whether you plan a traditional holiday feast or a casual cocktail party, with a little effort and planning you can keep everyone well fed and entertained for less. 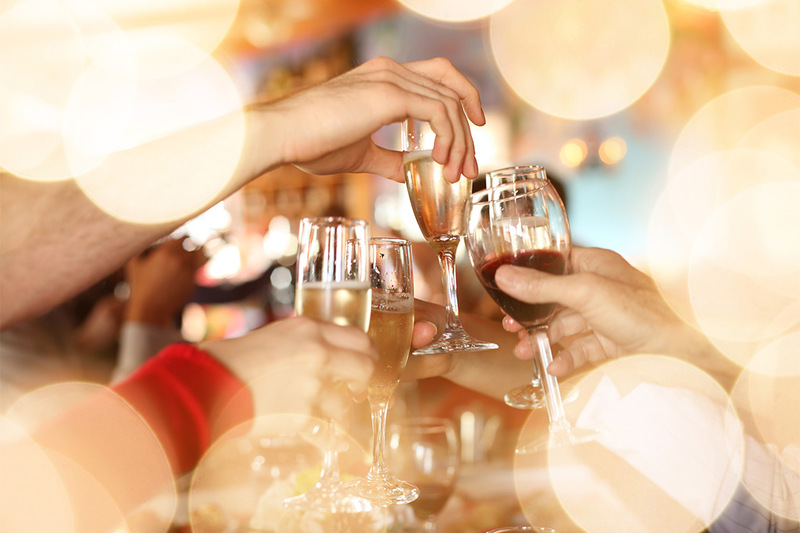 So don’t miss out on throwing that big bash for friends and family; instead, try these three budget-friendly holiday party ideas. Prior to planning or going shopping, be sure to set a budget. Online party budget estimators can be a big help. Evite’s Party Budget Estimator can estimate the total cost of the party based on the number of guests, food choices and more. Stay within your spending limit by following its suggested guidelines. Even if you don’t readily know how much you want to spend, the estimator will quickly point you in the right direction by showing ballpark figures. After selecting how much you’ll spend in several categories, such as food, drinks, decorations, and entertainment, the total estimated cost will be at the bottom. If the cost still seems high, see if guests can bring a dish or a bottle of wine to help out. Eventeve is another party planning option. It provides users with a customizable worksheet so you can type in the quantity and cost of items desired. A pre-made list of food, drinks, decorations, and entertainment is provided. Think of it as a foodie’s spreadsheet. PunchBowl helps you involve guests in the party planning process. The Date Decider feature allows the host to send a list of suggested dates and times to the guests to set a date for the party. The guests vote for the best date based on their availability. Need help with the food? Ask not what your party host can do for you but what you can do for your party host, with PunchBowl’s online potluck sheet. With this feature, guests can sign up to bring requested items the hostess lists. Let the computer manage who brings what so you can focus on other holiday party ideas. Based on the amount of food you want to provide, plan your menu accordingly. There are party recipe ideas on Evite’s site. Of course, you can always choose your own. Before you set out for the grocery store or specialty markets in search of ingredients, investigate some grocery store apps that will help save you money on food. Ibotta is a free app that allows you to select deals from grocery stores. After selecting offers and purchasing those items, the user takes a picture of the receipt, sends it to Ibotta and gets get cash back through Paypal within 24 hours. Locavore helps you buy products that are in season and which are always priced more reasonably. This free app with help you save money on your groceries, plus helps make sure you and your family are eating more healthily year round. The bottom line for your budget holiday party ideas is to use Internet and phone app resources to help you save time and money. No one will remember whether they ate filet mignon or tuna fish, or whether they drank fancy champagne or sparkling cider. Instead, they’ll recall the love and care that went into your fiesta, and the great time they had celebrating with family and friends. Besides, no one needs to know how little you spent — it’ll be our little secret!